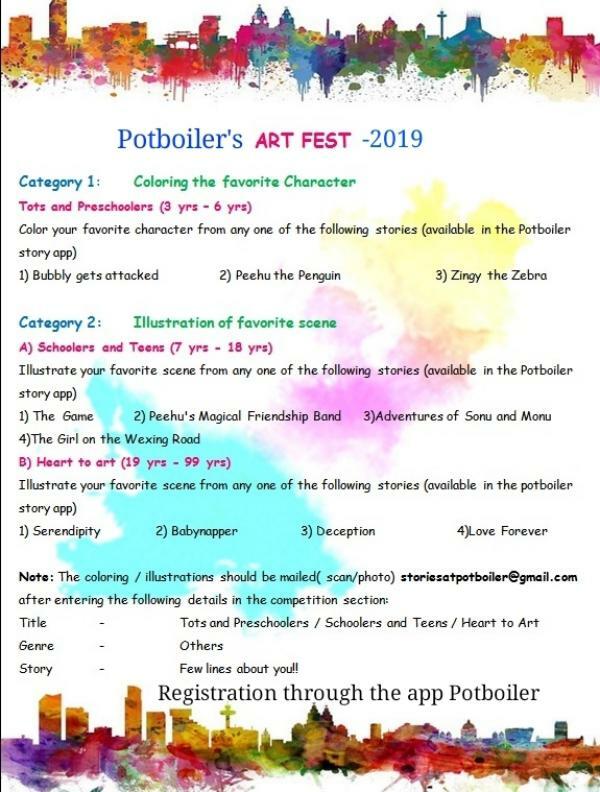 Potboiler’s Art and Story Fest-2019!! Here is a Summer fest for all of you!! Tots, Preschoolers, Schoolers, Teens and the official adults welcome aboard, put your creative caps and haul the benefits ! Story- Few lines about you!! Enrolment and Submission through the story app Potboiler only. Enrollment fee of Rs. 10 per entry should be paid at the time of submission. 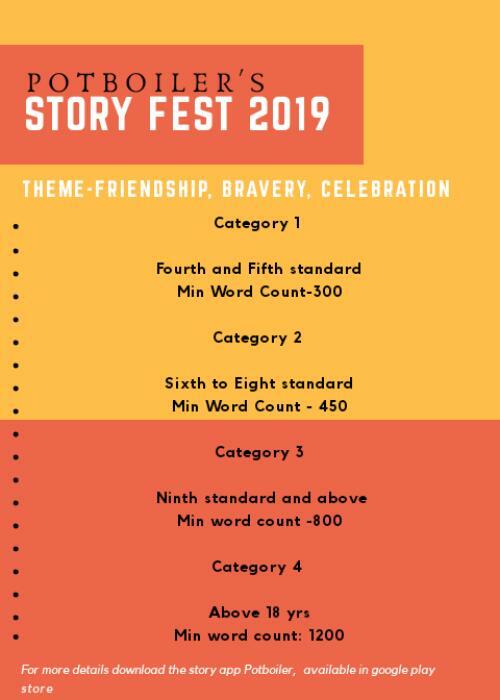 A mail should be sent with the details ofregister number, tittle ,category and age to storiesatpotboiler@gmail.com after submission of the story. How to reach the competition section? ?